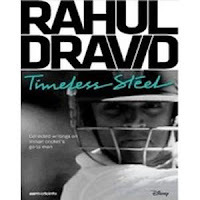 Last month, Disney India along with ESPN Cricinfo launched “Timeless Steel” an anthology of articles on India’s former cricketer Rahul Dravid. The book, all of 232 pages has 30 articles by people who came in contact with India’s rock solid, low profile and understated cricketer. 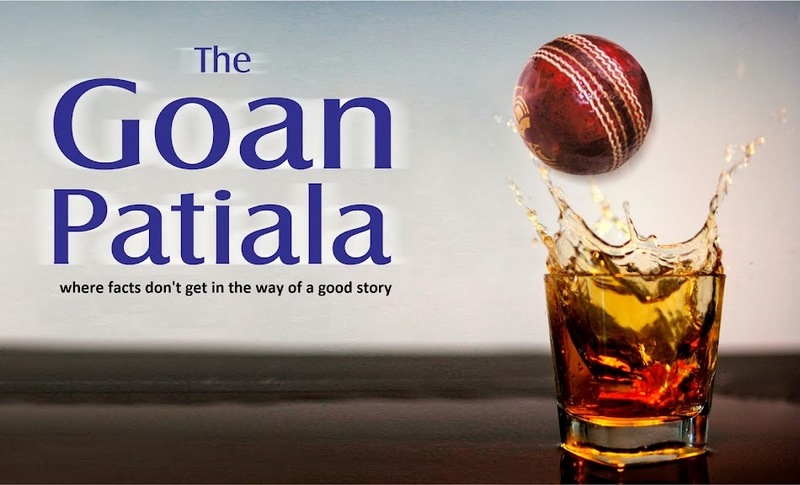 The book contains, like Sambit Bal says in his introduction, “A collection of fresh pieces and once previously published on ESPN Cricinfo and some of its sister publications is an exploration of the cricketer and the man, and it employs a wide range of voices – those of writers, teammates, opponents and even Dravid’s wife." Mukul Kesavan describes Rahul’s batting as the opposite of effortless - elaborate, flourishing and effortful. He further goes on to describe how his arabesques resulted in ball dropping at his feet for a single. Suresh Menon describes how talent without hard work withers early and how hard work without talent gets you nowhere. Sambit Bal’s article is an effort to show how greatness can exist outside genius and why V.V.S. Laxman and Mark Waugh fell short of greatness. Interestingly, Sanjay Manjrekar feels that Rahul Dravid can be a more realistic batting model for young Indian batsmen than Tendulkar, Sewag or Laxman as Dravid is the least “gifted” in that list. Among all the writers in this Book, the former India cricketer Akash Chopra appears to be “the Dravid” of all writers. He writes how Dravid used to crouch a lot more in his stance in his initial days or how his wide backlift also made him a good cutter of the ball. I feel Rahul Dravid would personally like this article by Akash Chopra. Siddharth Monga throws a spotlight on Dravid as a Captain and how he made team meetings more interesting and how he opened an ODI innings with a spinner. Perhaps one of the better articles in the Book is the one penned by Dravid’s Kent teammate Ed Smith. He gives an insight into Dravid’s “Gentlemanliness”. Jason Glillespie admits he didn’t beat Dravid more than a ball in a row. Greg Chappell’s article, surprisingly, is non controversial. Though there is no acrimonious harangue against Ganguly but in the end he does take some potshots at Ganguly without taking his name. Greg Chappell explains how Dravid had the ability to interpret his suggestions but at the same time does not glorify the fact that it was his (Chappell's) suggestion and that it worked wonders for Dravid. Rohit Brijnath’s article is a treat. He tells you how Dravid fell off his bed when he saw him (Brijnath) take some casual swipes with Dravid’s bat and how Dravid was prompt in telling him “don’t ever write about technique”. Jerrod Kimber tells you how Dravid was instrumental in him getting married and Gideon Haigh tells you how the enfant terrible of cricket Ricky Ponting told Dravid to hang on when he hit a rough patch. Sharda Ugra on Dravid’s 2011 Nottingham innings is brilliant. Sanjay Bangar relives the Headingly moments and Siddharth Monga’s description of the epic Kolkata 2001 match is sheer magic. What makes the book more interesting are the nuggets mentioned by Suresh Menon as he unearths Dravid’s ability to laugh at himself. Sample this : “people want me to get out quickly so that they can watch Tendulkar bat” and when Dravid was asked if he could make a 300, he replied by saying “that it had to be a 10 day match”. The best part about this book is no writer allows the focus to shift from Dravid. The book may not excite many but would certainly disappoint none. It perhaps would be made more interesting if there was an article by Saurav Ganguly on his “go to man”. Harsha Bhogle is conspicuous by his absence in this book. A book on Dravid without Harsha is like a Yash Chopra musical without a solo by Lata Mangeshkar. I think in terms of controversies, readers would have loved John Wright or Siddharth Monga to have thrown more light on the infamous declaration by Dravid with Tendulkar stranded at 194 in Multan. Inside Cover describes Rahul Dravid’s 180 in the epic Kolkata 2001 test as the 'most famous supporting act' which may make Dravid look like the Reitesh Deshmukh of the Cinema called “Indian Cricket”, and that’s sad. What leaves the reader shortchanged is the absence of any of Dravid’s ODI innings. Sad for a cricketer who has scored more than 10,000 runs in ODIs for India. The most hilarious part of the book comes from Dravid’s doctor wife who unwittingly exposes David's diplomatic style when she tells you that once in a phone conversation she told him “Hello I’m your wife. Don’t speak as if this is a press conference”. What makes this book a collector’s item is the Bradman oration which Dravid recently delivered in Australia which finds a place in this book. Dravid all his cricketing life played the second fiddle to the other three cricketers from India’s “Fab 4”. On his debut, Dravid scored a 95 only to be out scored by Savrav Ganguly with a 100. In Kolkatta 2001, Dravid scored 180, and V.V. S. Laxman overshadowed him with the 281. In 1999 World Cup when he scored a 145 at Taunton, Ganguly stole the thunder from him with 183. If tomorrow, Dravid, while coming home, decides to surprise his sons by picking up a game of Chinese Checkers for them, chances are his wife may have already picked up a Sony Playstation for them that day. By this book, ESPN Cricinfo has ensured that for the first time, no one else except Dravid will hog the limelight.